As October’s Breast Cancer awareness month winds down, there’s still more ways to give and GET . Many merchants in and around Union Square are joining together to support the cause. With a $65 donation to Susaon G. Komen for the cure, you receive a Komen Card, good for 20% off from the wonderful list of participating stores! This is a great event and with the holidays around the corner, you can get a jump on gift shopping. Cards can be purchased online at www.komencard.org and are good from 10/25 until 11/4. 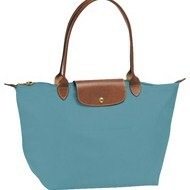 Get your give on and start shopping!!! Fight breast cancer and save 20%! Shop with the 2012 Komen Card at the Bay Area’s finest merchants and Save 20% from October 25 – November 4, 2012! Purchase your Komen Card online through Friday, October 26th, or visit any participating retailer to buy your card in-store now through November 4th! Azadeh | 110 Geary St.
Faconnable | 253 Post St.
Gump’s | 135 Post St. Some jewelrey is excluded: Aaron Henry, Buccellati, Estate & Antique Jewelry, Kothari, Petra Class, Russell Trusso and Todd Reed. Harputs | 80 Geary St.
Paul Smith | 50 Geary St.
Porsche Design | 100 Grant Ave.
Serge Sorroko Gallery | 55 Geary St.
Vince | 36 Geary St.
You can fold it up when travelling or when storing it, and it snaps closed securely. Why this is a trend in our nation’s capitol is a mystery to me! Any ideas…??? Since I am originally from the east coast and have been to D.C. many times, I have seen the vast majority of monuments, museums, and attractions. I thought this time I would go to a few less visited places. I ended up at the Museum of Textiles…yes, you read that right. I am one of those fashion nerds that seek out museums that celebrate period dress, textiles, costume, etc. This was a lovely museum off Dupont Circle amidst the beautiful embassy residences. I also really enjoy museum stores. The assortments are really well thought out and unique, and the merchandising is imaginative, given their small spaces. The Textile Museum store was postage- stamp small with a wonderful array of interesting merchandise. 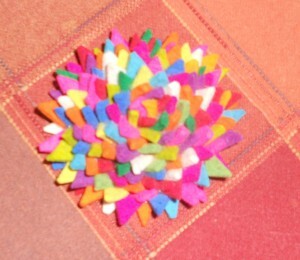 I found these pins by a designer in Toronto, named Cynthia Villegas and she has a wonderful website www.ladymosquito.ca . She is Peruvian and her creations made from heavy felt are so cool! She also has the most awesome necklaces and other accessories, check them out! 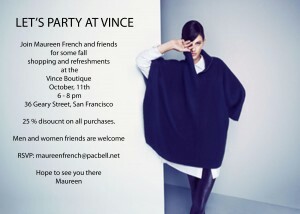 Please come join me at the VINCE boutique this Thursday, Oct. 11th from 6-8 pm. The nice folks at Vince are hosting me along with my clients, friends and fans (all of you reading) for an fun evening at the boutique… OH, and did I mention that you get 25% off all of those great Vince pieces!!! YES, 25%! I’d love to see you, so please do stop by!